I’m seeing some progress in Luna’s view of me. Yay! She’s gone from complete terror to willingly approaching and sniffing my hand. But it’s not really because of me that she’s making such good progress, as much as I’d like to take credit. 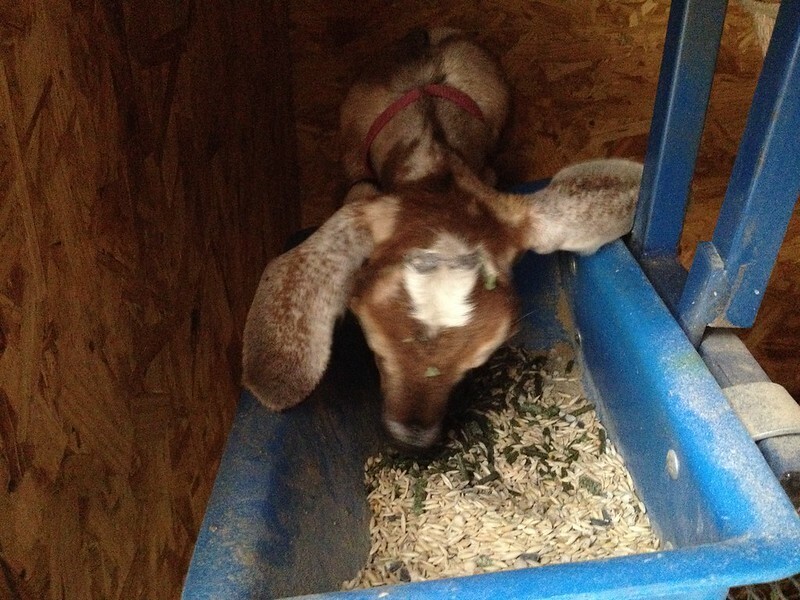 See the first week the Nubian babies were here I’d separate her from the rest and feed her some grain to 1) get her used to me and 2) make sure the poor thing was eating because the other goats were pretty mean about the hay! But being away from the others, her bro in particular stressed her out. 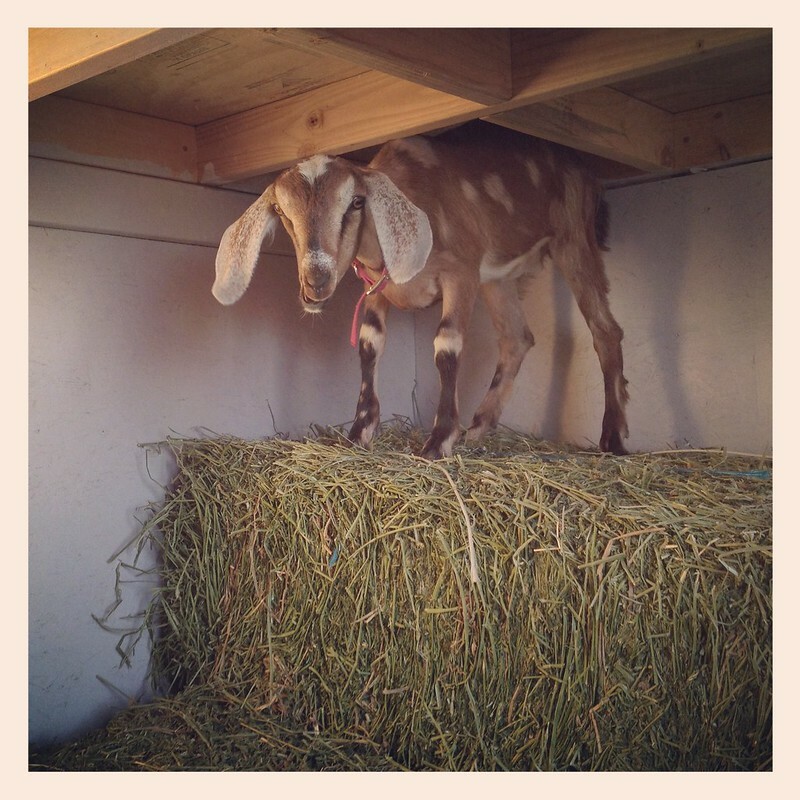 She’d climb the hay to get as close to being able to see them as possible… or maybe just to get away from me, who knows. 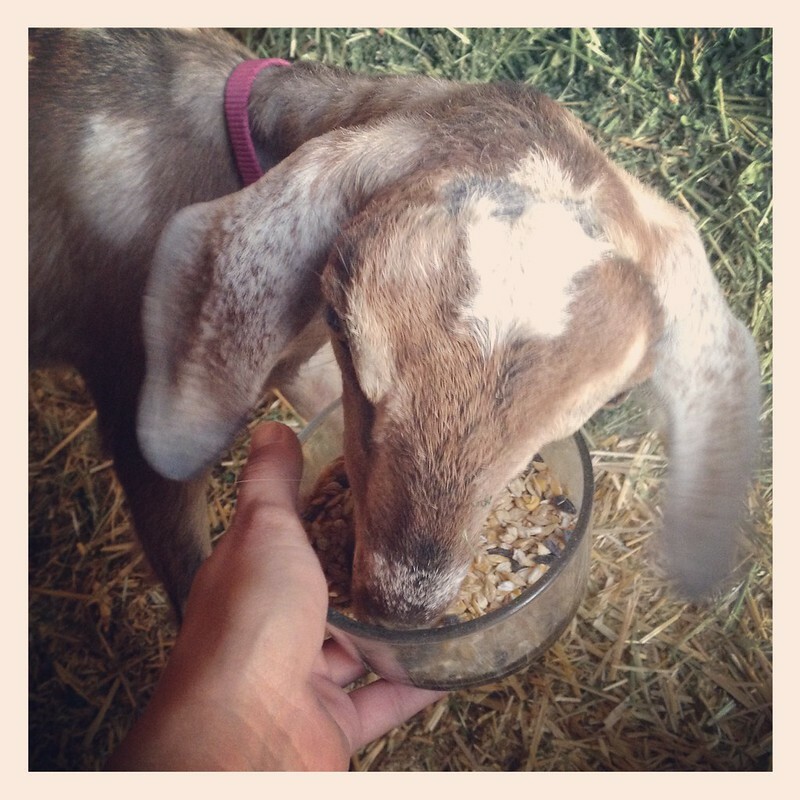 Then when she realized I had COB she’d come down and eat a bit, taking breaks between bites to “Maaa-aaa-aaa” for her brother. So I abandoned that idea. I’m not as interested in taming He Who Shall Not be Named because I know he isn’t going to stay here. I think I may have found a good home for him, and if it all works out he and our other little boy will be able to go together and live happily ever after with some nice people who are willing to work with them to calm down a bit. The big break through with Luna was when she and Ace totally bonded. Ace decided that Luna was pretty cute and she liked to have a tiny Nubian shadow and they started hanging out. The lad wasn’t as universally accepted though she tolerated him better than at first. Luna is seriously joined at the hip with Ace now. 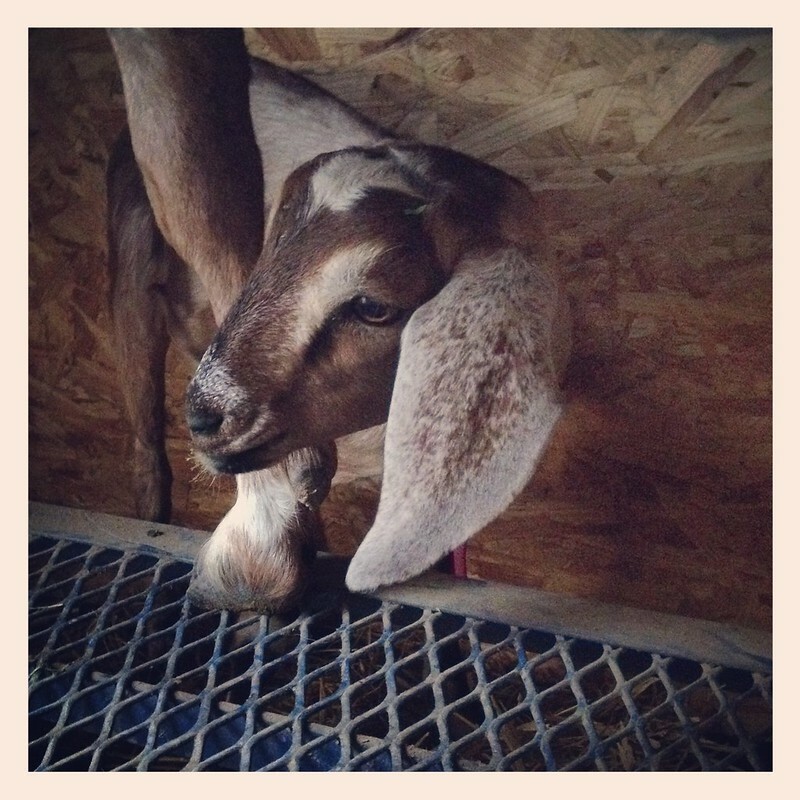 She comes into the “milking parlor” part of the LRB with Ace and helps herself to the grain while Ace is being milked. Ace doesn’t even seem to mind! Ace wondering why this punk is allowed to eat all her treats. 😉 Kidding, she doesn’t really mind. Since Ace is “okay” with me, Luna has decided that I’m “okay” too. She sniffs my hands, and lets me touch her. She’s still on the flighty side of things, but is doing much MUCH better and I have high hopes that once brother is removed from the herd she will progress even faster. Yay!!! 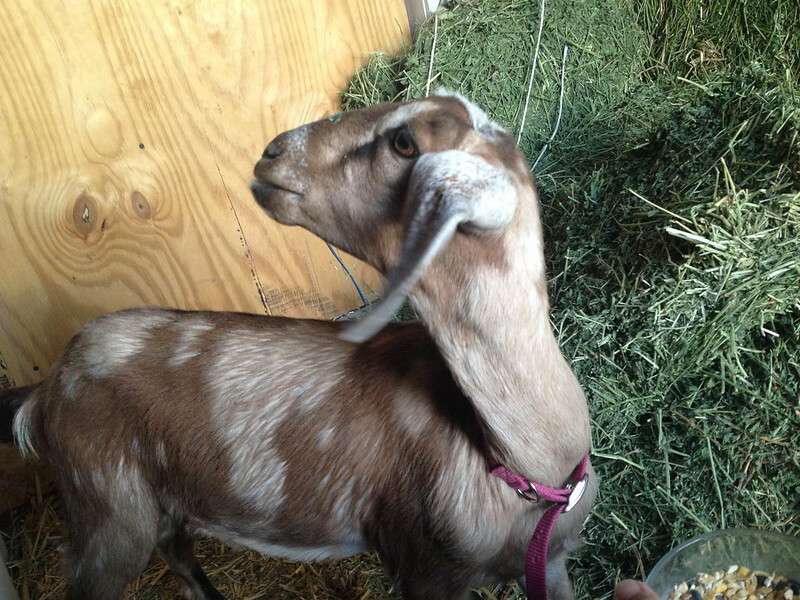 She’s a sweet little goat and I look forward to what she can offer in our herd! 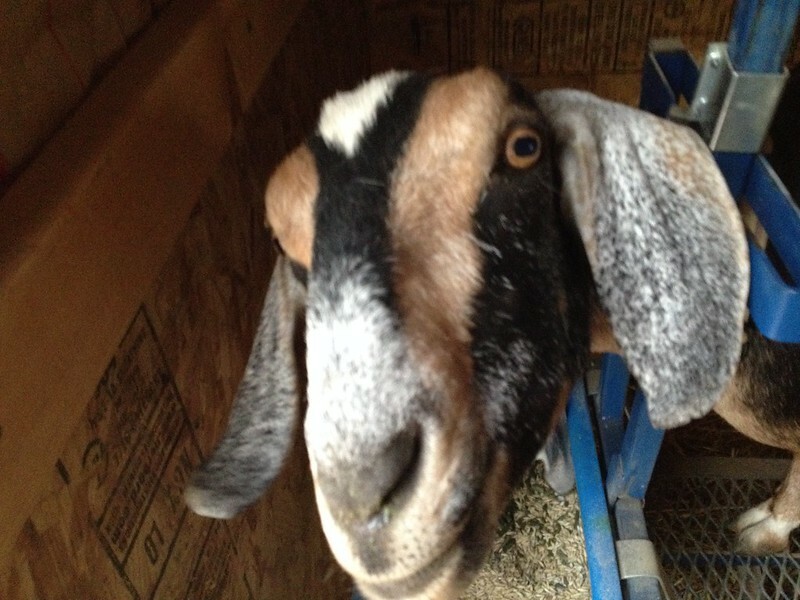 Luna, hangin’ with Ace at milking time!